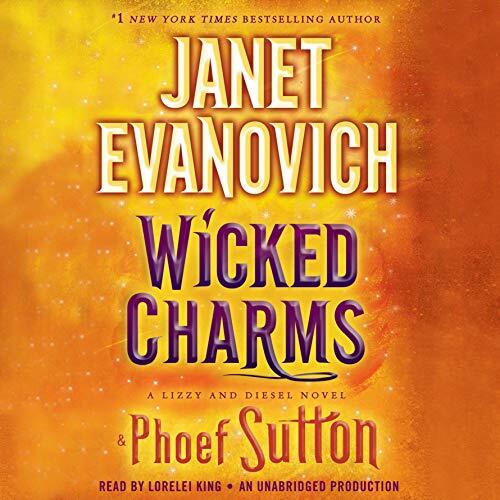 Lizzy and Diesel are back in an all-new wicked adventure from number-one New York Times best-selling author Janet Evanovich and Emmy Award-winning coauthor Phoef Sutton. Murdered and mummified nearly a century ago, bootlegger Collier "Peg Leg" Dazzle, in his notorious lifetime, discovered and rehid a famous pirate's treasure somewhere along the coast of New England. A vast collection of gold and silver coins and precious gems, the bounty also contains the Stone of Avarice - the very item reluctant treasure seeker Lizzy Tucker and her partner, Diesel, seek. While Lizzy would just like to live a quiet, seminormal life, Diesel is all about the hunt. And this hunt is going to require a genuine treasure map and a ship worthy of sailing the seven seas...or at least getting them from Salem Harbor to Maine. Greed is eternal and insatiable, and Lizzy and Diesel aren't the only ones searching for the lost pirate's chest. People who have dedicated their entire lives to finding it are willing to commit murder or make a deal with the devil just to hold the fortune in their hands. One of those people may even be Wulf, Diesel's deceptively charming and enigmatic cousin. Wulf desires the Stone of Avarice. He also desires Lizzy. It's hard to say how far he's willing to go to gain either one. Wicked Charms is a swashbuckling adventure full of raiders, monkeys, minions, and mayhem. Lizzy and Diesel are going to have to do everything they can to keep their heads above water and hope they're living a charmed life. I have listened to every Janet evanovich book out in audible. The wicked series is one of my favorite. Can't wait for another book. Flat ... Just missing its normal charm. This book doesn't live up to the normal witty, charming standard we've all come to know and love. Another charming novel by Janet. I thought the story was entertaining, but not as good as the first two. The characters were fun but there were too many added for this book. I really like the "Wicked" series with Lizzy and Diesel, however this one they seem to be more spineless than usual. Giving up very easily at times or things that most likely would have happened took way to long to happen. ****Spoiler**** when they came and stole the map and coins it took Diesel way to long to appear. He was in the next room for crying out loud! - I will continue to read this series, but I am hoping they get better. I still would buy it. First I am a huge Evanovich fan, have read almost everything she has written, and I love the Lizzy and Diesel series. I know you have to suspend belief for some of the story line but a lot of it did not make sense real or imaginary. ***Spoiler*** Lizzy is getting attacked inside her house while Diesel is in her bed, she is screaming his name and he doesn't get there in time to help her! I thought he was suppose to be this big protector and could see and hear all? The dialog fell flat for me in a lot of areas, have a discussion about brooms during a kidnapping, really?! It just was not the authors best, I usually laugh out loud listening or reading her books, and this time I just wanted it to be over. The narration may have played a part in my displeasure the voices were extremely exaggerated, to the point of being cartoonish. The whole book just felt rushed. Lizzie does it again! ! I love Lizzie, Diesel and the gang. Truly Entertaining!!! You don't want to put it down! Disappointment. I love the Stephanie Plumb series and Diesel is one of my favorite characters so I picked this one up. It's just weird to have him interact with the exact same character as Stephanie only the name is different. Not to mention there is just way too much that is too far out in left field. I couldn't find anything tangible in the story I could grab onto. It's just a little over the top. Like it's trying too hard to be part of the Stephanie Plumb series. this book to others. Easy to listen. Excellent narration.Favorite moment, when the drapes caught fire. I am super excited to read more books from her and can't wait for the next Stephanie Plum book! Now I need to find something to do with my time!